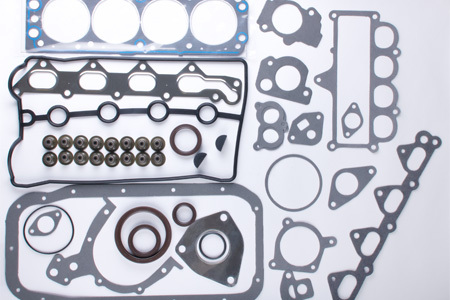 Our fabrication department specializes in custom gaskets. Our Atom Flashcut Dual Oscillating Knife Cutting Tables are ideal for prototypes and custom gaskets and provide significant production flexibility. The advanced software allows us to convert customer blueprints to usable files that are entered directly into the Flashcut’s CAD System. The Flashcut’s preciseness allows us to hold tight tolerances. 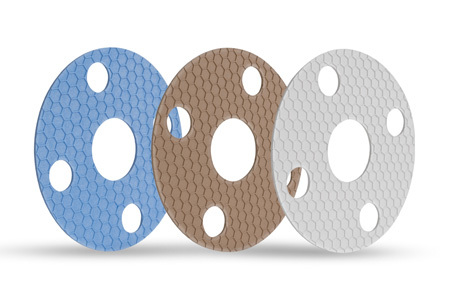 We can fabricate an array of materials including all types of rubber, cork, sponge, gasket sheet, felt, Teflon, graphite sheet, urethane, and more. We have Atom Programmable Automated Die Cutting Presses for fabrication customers requiring large volumes. These programmable presses are designed for speed and accuracy when gasket requirements are at high production levels. Additional fabrication capabilities include die cutting, rubber slitting and gluing, PSA lamination, and hand cutting for thicker materials. We proudly serve the Defense Industry, Power Generation, Pharmaceutical, Steel, Chemical, Automotive, Food, Construction, and more. Let us help you increase efficiency, reduce downtime and production costs, and increase your profits. Contact us today!